Frederick Douglass's home on Cedar Hill is now a historic site you can visit. Can't get your hands on one of those highly sought-after tickets to the Smithsonian's National Museum of African American History and Culture? Don't worry! There are many black history museums throughout the D.C. area that you can visit in the meantime. This museum celebrates the cultural and artistic contributions of African Americans in Prince George's County, Maryland. The museum also hosts tours and workshops for visitors. The museum offers various programs including an after school visual arts program and Museum-In-A-Box, which brings black history lessons into the classroom. Located in Howard County, this museum is "dedicated to the collection, preservation and interpretation of African American history and culture of Howard County, Maryland, and the surrounding region." The museum is home to more than 1,000 artifacts and murals, according to their website. The museum has collections from the early 1900s, and works from modern-day African-American artists from the area. This non-profit organization is dedicated to fostering public awareness of the cultural and historical contributions of African Americans in southern Maryland and the United States. The society purchased the African American Heritage House in 1999, which now serves as a museum and educational center. The space is open by appointment only. As the first wax museum of African-American history in the United States, this museums life-size, life-like wax statues feature prominent African-American historical figures, including W.E.B. DuBois, Rosa Parks, Frederick Douglass and more. There are over 100 figures, a full model salve ship and a room dedicated to Marylanders who made significant contributions to African-American history. There are daily tours, as well as extended tour packages that take visitors outside of the museum and into other historical areas. Dedicated to being the best resource for information and inspiration about the life of African-American Marylanders, this museum shares the African American experience in the state. The museum focuses on a number of historical topics and issues relevant to the black community today. "Kin Killin Kin," the museum's current exhibition by artist James Pate shows urban youth in Klan garb to draw attention to violence within the black community. The museum is named after Baltimore native Reginald F. Lewis, a businessman and one of the richest African-American men in the 1980s. The museum aims to inspires people to -- in the words of Lewis himself -- "keep going, no matter what." You can learn about the contributions African-Americans made in the state at Maryland's official museum of African-American heritage. The museum's permanent collection explores African-American history in Maryland from 1633 to the present, profiling historical figures like Frederick Douglass and Benjamin Banneker. In 2016, there were also a number of temporary exhibitions, including one exploring African Americans in lacrosse, another celebrating African American weddings and a third focused on quilting. The Oakley Cabin African American Museum and Park is more than a museum, it's a 19th century historical site. The cabin, which is next to the historic Brookville Road, was "the center of an African American roadside community from Emancipation well into the 20th century," according to their website. The living museum sits on 2-acres of land surrounded by wild plants local people at the time used for eating or medicinal purposes. Visitors may even spot hawks, foxes or deer on their tour. Founded in 1988, this museum focuses on African-American heritage. Visitors will learn about the Transatlantic passage, the Underground Railroad and the Civil Rights Movement. The museum also aims to "bridge the information gap and inform all ethnic groups." Before you visit, make sure to call ahead. Tours are available by appointment only. Located in Old Town Alexandria, this museum currently explores the day in the life of slaves in Alexandria and issues of preservation in the state. In addition to the main building, the museum also includes the nearby Watson Reading Room and African-American Heritage Park. The Watson Reading Room has over 3,000 books, periodicals, dissertations and videos documenting African American history. The park, which is nine acres, also preserves a 1-acre 19th century African-American cemetery. The Black History Museum and Cultural Center celebrates the achievements of prominent black figures in Virginia. Included in their exhibits are photographs, rare books, artifacts and more. The museum aims to become a statewide resource for black history. The museum also collects documents, limited editions, prints, art and photographs for their Black History Archives program. Visit this museum in Lynchburg to immerse yourself in historical exhibits on local African American history, and take advantage of workshops, lectures and programs offered by the museum. The museum's current exhibit focuses on the history of African American music. The adjourning Legacy Activity Center engages children and youth in educational activities and programs. This museum and memorial highlights the heroism of African-American soldiers during the Civil War through artifacts, photographs, presentations and seminars. The Spirit of Freedom: African American Civil War Memorial and Wall of Honor stands just across the street from the museum and tells the story of the United States Colored Troops. There are 209,145 soldiers names engraved onto the wall. The museum is housed in the Grimke Building, named after one of the most prominent African-American families in Washington, D.C. The Anacostia Community Museum houses an extensive collection on urban communities, with a focus on African-American history. The museum also hosts talks with artists, film screenings, community appreciation days and more. Can't make it? The museum offers an online exhibit showcasing African-American writers. 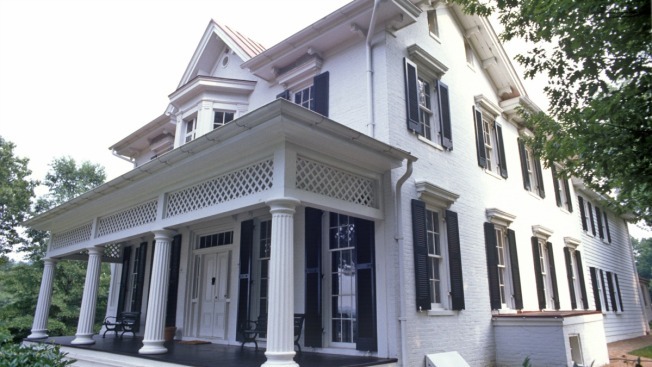 Tour the home where Frederick Douglass lived from 1877 until his death in 1895. Visitors can see original artifacts, watch a film on Douglass' life or tour the grounds. A partnership with Google makes it easy to tour the house from home with a virtual 360-degree, interactive tour.